Are Cosmetic Orthodontics Right For Teens? We find that our teen patients often worry about how metal orthodontics will impact the appearance of their smile. We understand their apprehension, and offer options to help alleviate their concerns. In today’s blog, your Fort Worth, TX, orthodontist explains how cosmetic orthodontics offer barely visible solutions to minor and severe cases of misalignment. In early childhood, we typically recommend retainers and other interceptive orthodontics, as children will still be losing baby teeth and having permanent teeth arrive. While teens’ smiles are still developing as well, their smiles are much more stable. As a result, we can begin discussing braces and clear aligners to reposition the teeth and improve overall alignment. If your child is a teenager and suffering from poor dental alignment, then please bring him or her into the office. We will examine their smile using advanced technology, designing custom orthodontics to correct alignment and improve overall oral health (and smile beauty as well). More substantial cases of misalignment, we may suggest braces. We will attach brackets to the front facing sides of the teeth. We then connect the brackets with a thin arch wire. Adjusting the tension of the wire in periodic visits begins to reposition the smile. To limit the impact on your teen’s appearance, we may offer brackets made from ceramic instead of metal. Being made from ceramic means we can shade them to match the teeth, helping them blend with the smile as only the arch wire is visible. For teens and adults alike, this is often a preferable means of obtaining a more even smile. We also have another practically invisible option. Instead of employing ceramic brackets and wires, we take detailed digital impressions using the iTero® system, which helps us design and fabricate clear aligners from a comfortable plastic material. Patients wear a set for about two weeks before moving on the next one. Optimal result tend to take between a year and 18 months, depending on the extent of misalignment. The aligners can be removed before meals or special occasions, and often require fewer office visits than traditional braces. If you have any questions about either our tooth-colored brackets or Invisalign® clear aligners, then please contact our team today. We’re ready to help patients of all ages enjoy more even and beautiful smiles with custom orthodontics! 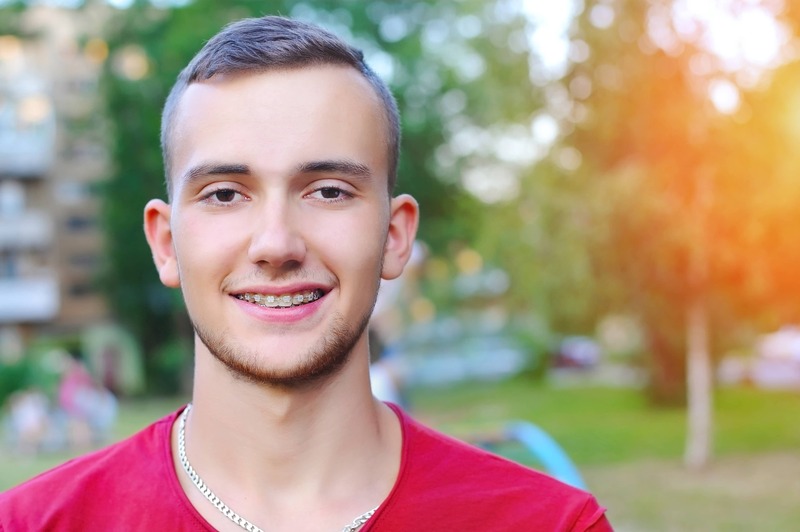 Does Your Teen Need Orthodontics? We can help young adults enjoy better oral health with our custom orthodontic options. To schedule your consultation and learn more about ceramic brackets, Invisalign clear aligners, and other options, please call Lake Country Orthodontics in Fort Worth, TX at (817) 236-7846. Our office proudly serves patients who live In Rome, Haslet, Azle, and all surrounding communities.